Congratulations to Ann Hughes from Annalong who won £2,200 from our Hospice lottery rollover draw on Friday 11th January. Ann said ‘When I received the cheque in the post I couldn’t believe it, I had to read the letter a few times before it sank in. I have been playing the Hospice lottery for years because it is a great way to support such an important local charity, never did I ever imagine I would actually win and especially not this amount. I am both delighted and very shocked to have won, I don’t yet know what I will spend the money on but a holiday would be lovely. I really do hope more people join the Hospice lottery because it really is a win-win situation, you are helping such a worthwhile cause for only £4.34 a month while being entered into a weekly draw plus the rollover, I can’t recommend the Hospice lotto enough’. Becoming a member and supporting your local Hospice through the lottery draw means you really are playing today to make a difference tomorrow. 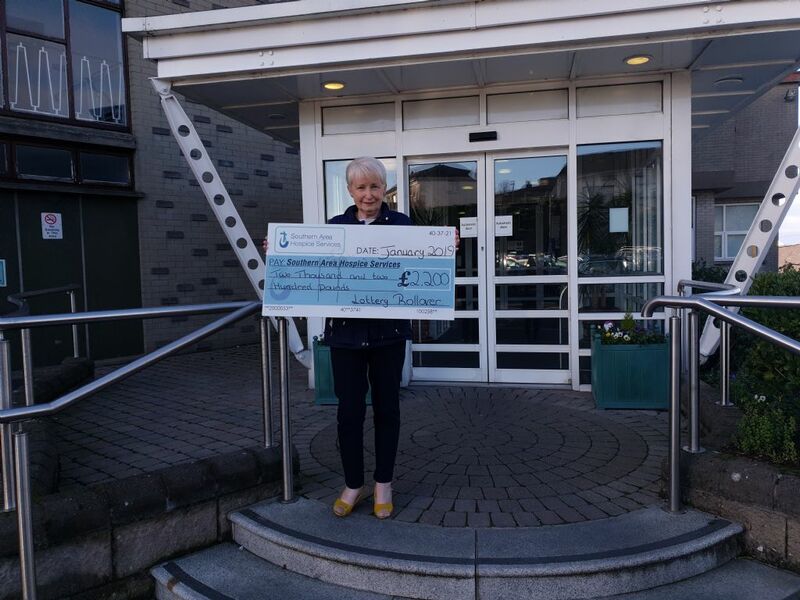 The staff at Southern Area Hospice Services would like to congratulate Ann on her win and to also thank her for her long term support of the Hospice lottery.